Adele's Note: I'm excited to share with you the following interview I did a few months ago with energy healer and scientist Joyce Hawkes, PhD. One of the reasons why I selected Dr. Hawkes is because she has such an interesting background of both healer and scientist. Not only has she been a pioneer in energy healing, with almost 30 years of experience in the field, but she also has an impressive background in scientific research in studying cells. The way she brings together her experience doing energy healing at a cellular level and her scientific background with cellular research is fascinating. In this interview, Dr. Hawkes also shares how near death experience helped pave the way for her decision to leave her prestigious scientific career to become an energy healer. Dr. Hawkes is the author of, "Cell Level Healing -- The Bridge From Soul to Cell" and "Resonance: 9 Practices for Harmonious Health and Vitality." You can read more about Dr Hawkes at celllevelhealing.com. This is Part 1 of a two-part interview with Dr. Hawkes. Click here for Part 2. AW: Hi everybody, I’m so excited and privileged to have our guest today. Her name is Dr. Joyce Hawkes. 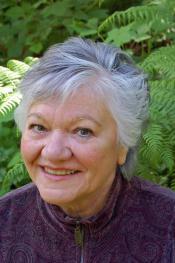 Dr. Hawkes is a very accomplished and unusual healer with her background, as you’ll hear. She is the author of a couple books, one is “Cell-Level Healing – The Bridge From Soul to Cell” And she’s got a new book out, “Resonance: 9 Practices for Harmonious Health and Vitality.” So welcome to the call, Dr Hawkes! JH: Thank you! It’s just an honor and delight to be here with you and your audience. AW: I was so struck by your background. It is unusual. I’m especially interested in people who have had a science background, just because I think that’s kind of where our profession is headed. And I’m wondering if you can give our listeners a brief summary of how you came to be doing your work, how you started. JH: Thank you, I’m delighted to share that. The science part started when I was in high school. I had one of those incredible science biology teachers who actually really inspired me. My family were not people of higher education but I did a science fair project which won me a scholarship to college, and away I went. From there, on to a Masters degree and then I did my PhD in biophysics at Penn State University. My main area of work was with electron microsity, which is looking inside of cells magnified up to a million times. It was like entering a whole other world of reality. You know, you turn on the knobs of this machine which is about 7 feet high. It works under 100,000 volts of electricity under very high vacuum inside these rooms, and all the sudden you’re looking at the secret inside of individual cells. You know, each of us is made up of between 75 and 100 trillion cells. We don’t see them individually without the help of microscopes. And this whole technology allows looking at the secrets inside of cells. So that was really fun. JH: Then after graduate school, I had a postdoctoral fellowship with the National Institute of Health, which brought me back up to the west coast, where I had grown up and climbed mountains and skiied my head off, and loved northwest living. And I was offered a job in Seattle, Washington where I am still living now, with National Marine Fisheries Service, which is a part of National Oceanic and Atmospheric Administration. There, I set up, from scratch, from the test tubes to the forklifts, to two electron microscopes, state of the art labs. And I began doing research on what happens to the critters in the ocean, particularly fish, when they are exposed to pollutants. And it was very astonishing, looking at a wide range of organs and systems and ages of fish of what is affected by pollutants, because it is deadly stuff. And it affects things way down inside of cells before we see any effects on the outside of fish. So I did that, published a lot of papers, traveled the world giving lectures. I had a lab full of people working away for me. And I loved it, just loved it. JH: Anyway, I had never heard of near death experiences. I had never read the one book that was out at that time by Ray Moody. I could have cared less about anything that had anything to do with that weird stuff. And so here I am, in the midst of this experience, which is still as fresh to me now when I think about, it as it was at the time. You know, there are things that impact you like that, like "Whoa!" They’re so... [pause]. They change our lives. AW: Yes, they absolutely do. It certainly sounds like this near death experience changed you, or changed your perspective on a lot of things. JH: Right, it certainly did. It was quite long. I was there probably an hour of a half. Because when I came back, my head had a big gash but the blood on the top of my head was dry. And that doesn’t happen in a minute or two. So I think they kind of gave me a tour and rewired me and looked me over and said, “Bye! See you later, girl!” [laughs]. I got back into my body with a very sore head. And had to take some time off from work for a while. And I got interested. At first, I just went, “Hmm, that was interesting. That must be what happens when you have low oxygen or you get smacked.” And the scientist in me said, “Ahh, forget it.” But the energy was so strong. The impact of the emotions was so intense. I saw my mother and grandmother greeting me at the opening to the entrance to the place of light, comforting me. And they had been dead for years. I didn’t believe in an after life. And here they were, looking healthy and able to communicate. It was just incredible. JH: Anyway, I started reading and talking to people. And one thing lead to another. It took me almost 7 years of exploring and taking some classes on healing. Eventually, I had a very clear calling, a direct calling, “You are called to heal”. I came back from that experience, which was on a weekend, and resigned my position at the lab the next business day. AW: Did you have a sense, or maybe you have a sense now, that your near death experience may have contributed to it all? On your website you talk about how you have very unusual brain wave patterns that have been measured in a lab. I’m curious if there was ever a causal "because-you-had-a-near-death- experience" that may have contributed to rewiring your brain pattern in some way? And that was helping you in your healing abilities? Or do you think it was a chicken and egg thing? Because I know a lot of healers that, as they progress, their vibration changes also. So I was curious if it was an organic thing, or if you thought this near death experience had something to do with it. JH: It’s hard to tell, because I didn’t have testing at the time. So I don’t know. It’ be cool to have a comparison of what my brain before versus what it does now. My inner experience is that my vibration, if you will, my consciousness has changed, certainly with the near death experience. It really got my attention, for one thing. But it also changed with simply practicing full attention, full presence in the Now. And meditation, connection with the divine and source. So that has been a progressive evolution of what’s changed. And I know now from the testing that I run delta waves all the time in a waking state. They peak 6 – 7 times higher in my brain when I’m doing healing work, whether it’s with a person in front of me or distance. Probably 2/3 of my clients now are all over the world. I work with people in New Zealand, Australia, Poland, and across the US and Canada. And the work is as strong doing that as it is when people are in the office with me. It’s still just a mystery to me. It’s wonderful. I feel like I came back different, but I don’t have any measurements of what those differences were. JH: But I know, Adele, that it initiated a search. It initiated practice. It initiated the beginning of developing skill. People don’t have to have a near death experience to bring forth their healing gifts. And they don’t have to be as stubborn as I was and get smacked on the head to do that either. There’s so much available to all of us now, in many different arenas. That you kind of have to go, “Where’s the resonance? Where do I click with system or that system, or this school or that practice that allows me to develop a sense of connection, the bliss that’s with that connection that’s absolutely, totally priceless?” And then with that, the unfolding of “What is my highest joy of service in the world, while I’m also taking care of myself” [laughs] Together. AW: Exactly. I’ve noticed that healers can be in two groups. One that uses their personal energy, chi. There’s another group that uses more of a universal energy, such that in working, one would not feel depleted. AW: It sounds like you’re working more with the universal energies. JH: That’s really interesting that you bring that up because a whole lot of what I’m doing in my new book is the process of trying to express how it works for me but also to help people find a sense of union between the two. When I’m working, there’s a certain amount of cognition, there’s a certain amount of knowing that comes from understanding the science of various conditions that people show up. And, I also know that crucial to this work for me is my connection to spirit with God and universe, and that that comes through me, but I’m also responsible for what I say about it and how I work with people. I’m a certified counselor in the state of Washington. And so, you know, we wear a number of different hats I think, most of us in this field. So for me, Adele, it’s kind of both, finding a place of balance and harmony, and dance, almost, where they’re working together. AW: Yes I can relate. I experienced some of that same skepticism, that I had an inner knowing that things were happening that I could not explain, but I just knew I was bending reality in a certain way. AW: But each client was one data point. So if the scientist in me that wanted to know the mass controlled studies, whether it be of cancer or some other illness, the data just wasn’t there. AW: But just because the data isn’t there wouldn’t mean we don’t do what we know is working. AW: It’s a funny paradox, isn’t it? JH: It’s a very funny paradox. You know, after the calling, which was as intense an experience of my near death experience, I just thought,“Well, crap, why, if this is my life’s path, did I spent all those years doing all that study and research? I was doing karate for a while about it, and I dumped all my science. You know, I just said,“Science is useless”. And I was in Bali and my main teacher that I met in Bali (she was not in the tourist area). I worked with her for 10 years. I went back and forth from Seattle to Indonesia to Bali to spend incredible times with her. She was a profoundly adept shaman in their tradition. And she’s never seen a book about cells. She’s never even heard about cells and all the things inside of cells, like mitochondria and stuff. And yet, when she was in trance and describing what she saw in people who came to her for healing, she was penetrating to the cellular level. And as she described it, I went, “She’s seeing that deep! She’s describing like she’s sitting at an electron microscope!”. AW: How amazing is that! JH: And so that changed it. I said, “Here’s a place to put it together.” And then what then kept coming to me was, because I have a really solid background in the science part, and then, by then, oh let’s see, that was ‘84, a good 10 12 years after I left the lab, that I actually had enough experience under my belt with both training and working with people, that part of my job was to put it together. So that’s what happened in my first book, “Cell Level Healing” which is now in 7 foreign editions, released in to paperback, e-book and blah blah blah, and has done quite well. And I’m so thrilled like an instrument like this interview and the kind of work you’re doing and such like the book can take work past anything any one of can do out walking around the street, you know? AW: Right. I love to collect the wisdom of pioneers such as yourself. It’s fascinating to me. I’m curious how your scientific colleagues felt about your new calling. I know, for myself, I hid this for the longest time. I lived in two worlds, and it didn’t occur to share them, until the very end when I was much more comfortable with it. But how was that, because you were working with very scientific oriented communities. And quite esteemed in that regard. I mean, did you have a sense of, “Wow, they’re going to think I’m crazy if I want to do this? AW: It’s interesting how people will find us. Even though we don’t say anything. Did your background in science inspire you? I mean, you’ve talked about lasers and cell structures. When you do your work with people on cellular level, are you borrowing from your scientific knowledge about cell structure? For example, when I work, sometimes I will simulate a laser or a beam of a certain color. I’m just curious if your scientific background actually helps you in that regard? Or was it just too different? JH: No, no it absolutely does help. And after the experience with my teacher, then I was able to put those together. So there are times when I’m in deep, deep meditation to work with someone. I don’t have a standard protocol of work. I work with each person very individually. And there are times when we’re just moving energy. And each session is a little different each time. And there are times there’s a very distinct focus of energy at places within the cells. And I understand those and I know what they look like. And so id an image comes when I’m working, it is more like a visionary image. Then from the cognitive part, from an analytical part, I can say, “Match these two dots, this is where we’re working.” And I can teach people as clients, how to do some of that for themselves. And what it seems to do is enhance the work. JH: Particularly with people who are attracted to work with me. I think we each have our own community. And for some people, this would be like, [sounding very bored] “Oh yeah..” And for others, it’s a really totally cool thing. AW: I love how you talk abut this. In the woo-woo community, for lack of a better word, there might be talk about things being stored at the cellular level, whether it be a trauma, or down to the DNA and such. But I’ve always wanted to ask, well, what does that mean? I mean, if we were to look at a cell under a microscope -- "OK, there’s your cell, and I see the structures" -- when you work with people on a cellular level, and let’s say you’re clearing a trauma, what are you seeing? Are you seeing the trauma all the way down there in the DNA and releasing it in that way? In many healing communities, there’s a lot of talk of things being stored the cellular level. But I’m not sure everyone knows what that means. JH: Great question. There is a lot of talk about cells out there right now. And unfortunately, some people who are saying that aren’t really that familiar with cells to be able to go to that level. AW: Or multi strand DNA, that the number of strands are now going to change, the number of strands. It sounds great, but on a scientific level, we’re born with our DNA and I can’t imagine that a special technique would be changing our DNA. Or are we? JH: Well, I don’t think we change the number of strands or the number of codons, gene pairs. But I do think we can probably change the expression of genes. JH: We know that, in fact, some of the latest research out is huge amount of what’s called "junk DNA", that no one thought had any function at all. But it’snot junk at all. In some of the latest research journals, this is actually the part of DNA that controls the expression of the genes that create your blue eyes, your new heart cells, your new pancreatic cells and so on. So there’s a lot of mystery and unknown still, in the exactly what’s the mechanism. How does it work? Nobody knows yet. But we know that, at least from what’s currently going on in neuroplasticity plus the field of the genome of how new things are being published in the journal of science and nature and National Academy of Science all the time on the exquisite mechanism of how our genetic codes create the biochemistry of our cells that then create the new you in which the incredible sacred pile of molecules we call a body becomes a vehicle of our consciousness, and in union with our consciousness, at some point. AW: So when you’re working with an illness, do you see yourself actually going into the DNA, especially when it’s an inherited type of illness? Or are you working with energy in other capacities, not the DNA, but you can work on the nervous system and things like that? I’m really curious about your cell background and how you work. AW: Um-hmm...yeah, that was my next question. What was your intention? Were you purposely going in there and manipulating anything? JH: And then, all the sudden, she was no longer having some of the main symptoms she had before, which were tactile hallucinations, feeling like a hand was on her moving around and stuff. And that dropped off and dropped off for several months. And then her psychiatrist said we’re reducing her meds and reducing her meds. And no more tactile hallucinations. Now, some time later, she is no longer on any medication. She owns a car. She vacationed in Europe. She has a very fun job. She owns her own condo. And so her life has come back. Her psychiatrist told her, not that long ago, “Do you realize you are in less than 1% of the people who ever diagnosed with this condition that have actually healed from it? AW: Oh wonderful is that! JH: It is. And it’s an example of how we can bring these fields together. And I taught her to bless the meds. I said, “Every time you take one of these pills, I want ou to sit for a moment and think about it bless it and welcome it to your body. I can’t tell you, and I’m sure you’ve experienced this too, how many people come to us for healing and say, “Oh God, I have this condition and I have to take this medicine or this infusion. And I hate it!” And you’ve set up so much stress! And when you look at it from that level alone -- so much stress in your body that when you actually swallow the things, you’re harming yourself. It’s not that the medicine necessarily is harming you. So I encourage people who are going to use western medicine, bless it. Take it to your body, ask it to do its very best and highest good, and ask the body release any side effects as fast as possible. AW: Uh-huh. Wow. That’s such a wonderful story. And yes, people do tend to hate their medicines, especially if they’re taking a lot. AW: I’d be curious on your perspective on the kinds of illness, what disease or conditions have you found easier to work with, versus others that are more complex. From my perspective, I haven’t been able to generalize. Because I might say that, for example, schizophrenia. We might get a great a result in one situation, not as dramatic of a result in another. And this is the thing that modern medicine would jump up and down and say “See, you don’t have any controlled study and there’s no data”. It becomes very hard to predict. I’d be curious your perspective on what you’re noticing and why it’s been so difficult to get a concrete sense of, “Energy work is really good for 'X'”. Because for every one we say energy works well with, there’s going to be an exception. For every person we say energy work doesn’t work as well with, there’s going to be a miraculous exception. JH: Yeah, it’s an interesting conundrum, isn’t it. And I’ve certainly experienced that, because over these approaching 30 years that I’ve been doing this work, I’ve pretty much worked with everything. And early on, there were certain things I was really hot with and I still am, and other things I’ve learned to work with also. I do see a lot of people with cancer, neurological diseases, auto immune disease. Out here in the northwest, multiple sclerosis is a fairly major problem and we’ve had some good results with people. But I agree with you, it’s not 100% in any condition. And that’s why with each person I work with, I ask, “What is going to serve this individual the best?” Because everybody’s different. That’s why I’m always asking, “What’s the key piece here? Where is it?” Is it a trauma somewhere? Is it genetic? Is it an exposure to a toxin? Is it a virus that kicked this off? So it’s kind of looking for what’s underneath the expression of the symptoms. So you have to be very adaptable to the individual and their situation, first of all. And secondly, how well the individual can combine modalities and work together. There are times I work with a psychotherapist, for example. Or psychiatrist or a naturopathic MD or an acupuncturist. Putting several modalities together, and woohoo! Seems to really help a person. Great interview! I really enjoyed it. I would like to learn more about what Joyce actually sees and feels when working with a patient.